Published: 02:14 Monday - June 19, 2017 Da Sy village is located in an area which is home to many celebrities. It is also one of the most famous blacksmith craft villages in the northern delta region. 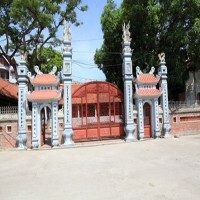 In the reign of the 18th Hung King, residents of Se village, in what is now Da Sy commune, were already forging cold steel weapons such as knife-shaped lances and swords for paladins and the nation’s military defenders. They also hammered out farm implements and tools. 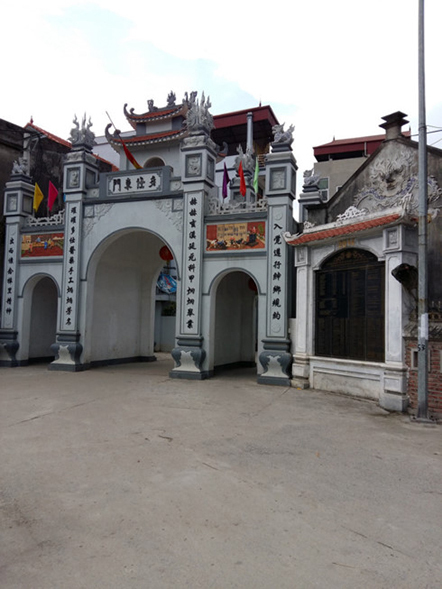 It was in the 13th century under the Tran dynasty that the village rose to prominence after two blacksmiths named Nguyen Thuat and Nguyen Thuan from Thanh Hoa province taught the locals advanced secrets of forging. In the middle of the 18th century, Se village was renamed Da Sy. The village is now a ward of Ha Dong District, Hanoi, and has a more urban look. Although the village’s “golden age” has passed, local craftsmen are keeping the traditional blacksmithing craft alive. Da Sy products are more varied in type and design than similar products in the region. In the past, Da Sy’s biggest markets were Laos and Cambodia. Now the village also ships a lot of products to Germany, France, and the US. Visitors to Da Sy are surprised to find the hard work of blacksmithing being done by both men and women, both young and old. But, as is true elsewhere in society, today much of the production has been mechanized. 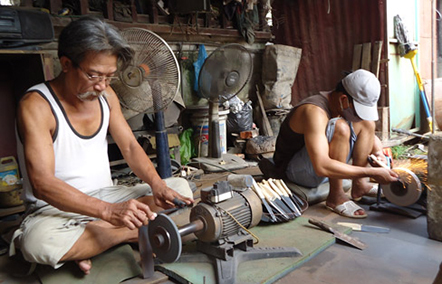 Artisan Doan says the village is now under Hanoi’s traditional craft development planning to ensure that its tradition will be preserved. “We have built a 13-ha craft village industrial complex to house all the local workshops. The complex will reduce environmental pollution in the residential areas and give the villagers better access to new technology. Each year we organize training courses to help artisans improve their professional qualifications,” Doan said. 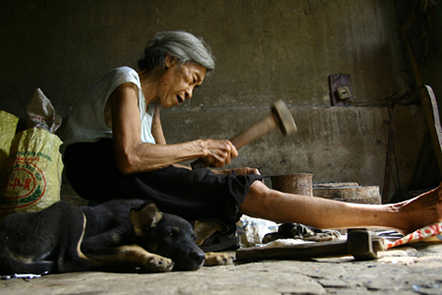 Da Sy village has been officially recognized as one of Vietnam’s typical traditional craft villages. Each year, on the 27th day of the third lunar month and the 25th day of the eighth lunar month, the death anniversaries of Nguyen Thuat and Nguyen Thuan, a festival is held to honor their contributions.